Kentucky Poker – Is Online Poker Legal in Kentucky? Kentucky isn’t the absolute worst state for poker players. Kentucky just isn’t a poker-friendly state. Read on further and you’ll see just how apparent that is. But there are alternative options that allow you to play poker legally. You’ll have to read the next couple of sections to find out what those are. Fun Fact: If you lose money gambling you can attempt to get it back by filing a lawsuit. You have up to 6 months to file. After that – and for the next 5 years – anyone can make a claim for your money. Like a lot of states, Kentucky law doesn’t specifically address home or social poker games. 528.030 Promoting gambling in the second degree. (1) A person is guilty of promoting gambling in the second degree when he knowingly advances or profits from unlawful gambling activity. (2) Promoting gambling in the second degree is a Class A misdemeanor. 528.020 Promoting gambling in the first degree. (2) More than $500 in any one day of money played in the scheme or enterprise. You can take this several different ways. But the way I look at it is this – so long as you’re not charging people to play poker (by raking the pot or charging a tournament fee), and the only money you make is from the hands you play – you should be okay. It also sounds like you can keep your winnings if they are below $500. Hosting a home game might be a different matter. It looks like that can land you into hot water – and a minimum of a Class A misdemeanor. So just have the poker game at your least favorite buddy’s house, eh? Joking aside – home games might be okay, and are the only option you have within the state of Kentucky. But if you want to make sure your game isn’t broken up by the police, I suggest chatting with your local law enforcement or lawyer first. Just to be on the safe side. 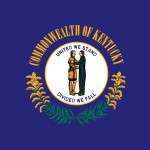 Online poker, casino games and sports betting is illegal in Kentucky. The case went on for several years. Kentucky eventually gave up. But they did receive some money from the Department of Justice following the Black Friday situation that involved PokerStars, Full Tilt Poker, Ultimate Bet and Absolute Poker. No one expects things to get better any time soon, either. Not as long as Beshear is in office. Are There Brick and Mortar Establishments Offering Poker? Unfortunately for resident living here, you won’t find ANY casinos in Kentucky. That means no live poker. No slots. No keno. No video poker. NOTHING. The closest you’ll get to Las Vegas-style casino action is by driving to Indiana and playing in one of their casinos. These are free ‘bar’ leagues held around the state. They require no buy-in (per the law) and award prizes to the top monthly/seasonal players. That’s about as good as it gets for live poker in Kentucky. From what I’ve read it looks like Senator Rand Paul is the only advocate for online gambling. He’s been quoted to say that the government shouldn’t get involved. And I’m sure most residents would agree. So do we. However, it’s obvious that the governor doesn’t want regulated online gambling in the state. So I agree with other experts when they say that 2019-2021 is the soonest we’ll see any form of online legislation. In 2014, there was a suggestion to add Las Vegas-style brick and mortar casinos in the state. And it looks like it may happen – even as early as 2016. If both scenarios play out, then, and only then, do I think it’s possible we’ll see online poker regulated in Kentucky before the 2020 prediction. Otherwise we won’t see it a minute sooner.